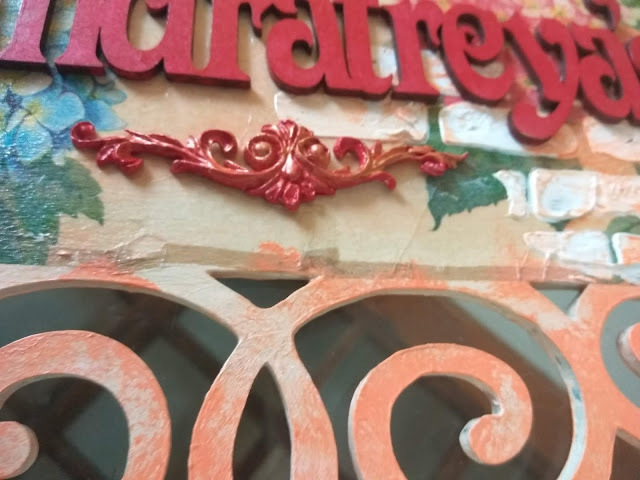 ➤ For the base coat I used a peachy shade………I like making my own shades so I created this tone by mixing white, red and yellow acrylic paints and painted the base. 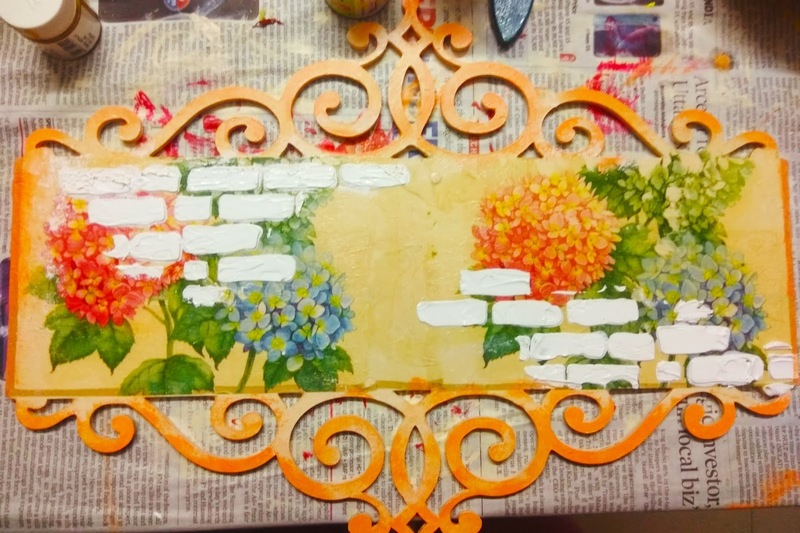 ➤ After letting it dry for some time I decoupaged the base with a lovely hydrangea print 3 ply napkin and top coated with 2 layers of varnish…. remember we have to be patient to let each layer to dry sufficiently. 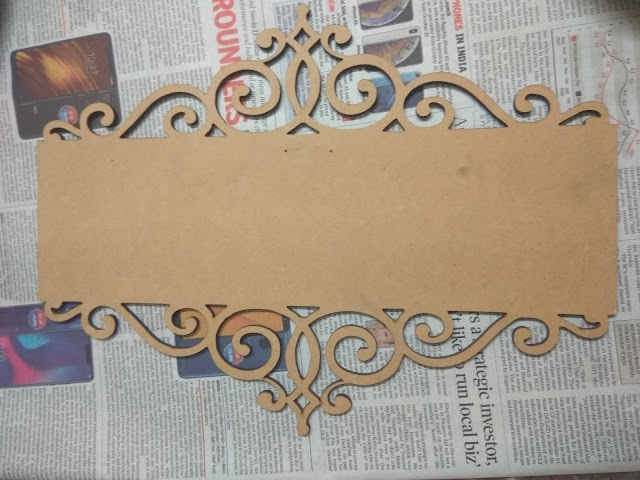 ➤ After drying the base, I created textures and patterns using brick pattern stencil and texture paste, when it started drying a little, I tapped with my finger to add more drama to the texture. Now I dabbed a sponge with orange acrylic color and did a bit of dabbing around the edges of the plate and on the brick pattern. 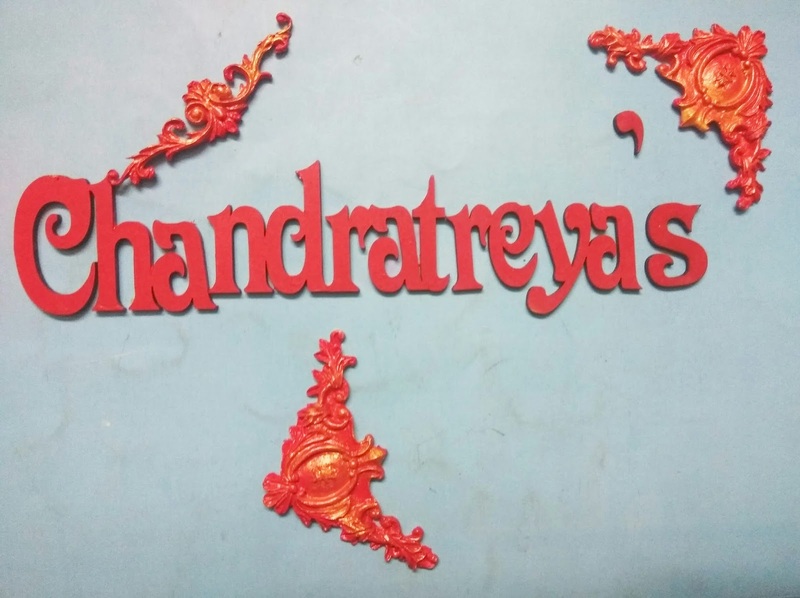 ➤ I handcrafted some clay embellishments and took one MDF laser cutout of a customized surname, and painted them with crimson red acrylic paint and again with the help of sponge tool dabbed Pearl gold on all the embellishments to highlight the details. ➤ I then assembled the plate in a preplanned layout and with certain adjustments the basic structure is all set. ➤ Finally! 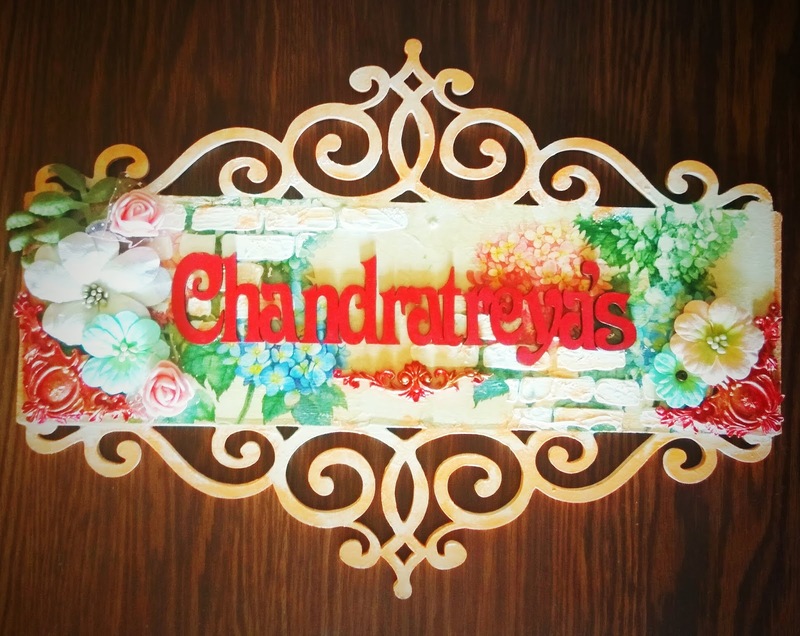 to finish this piece I decorated this name plate with some of my favorite flowers. 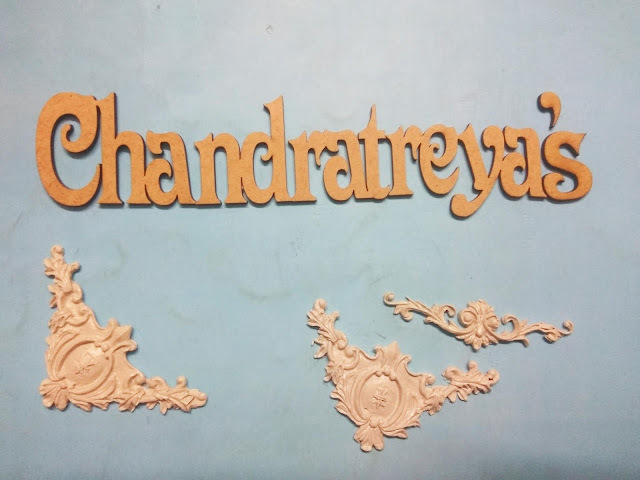 Hope you like the outcome and would love to try it out yourself and adorn your homes with handcrafted nameplate like this one. 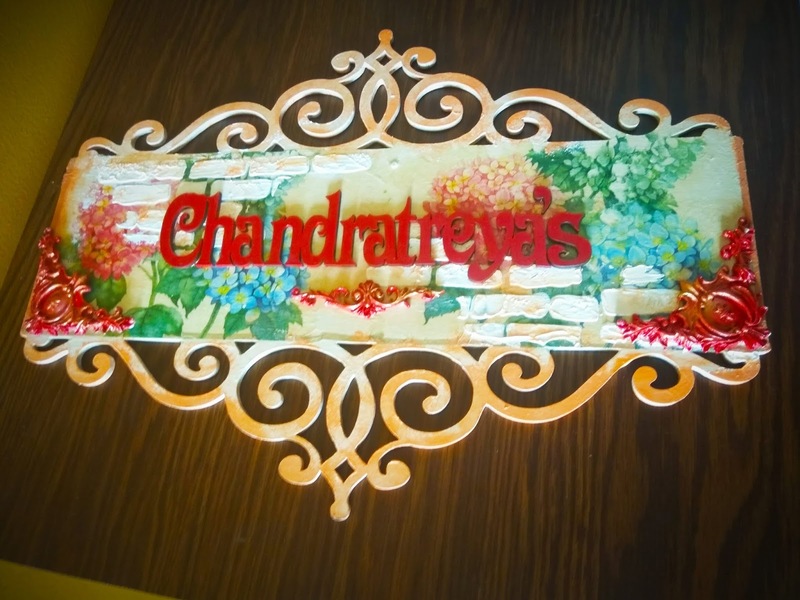 Remember to leave some love and don’t hesitate in dropping in suggestions….would love to hear from you all.